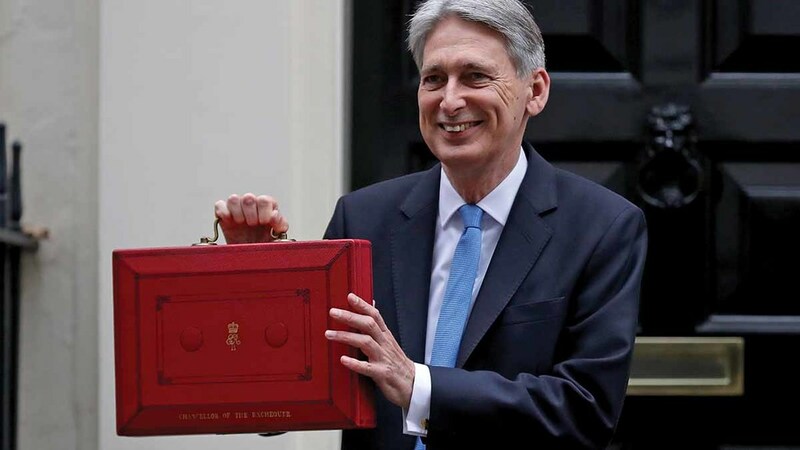 The Chancellor Philip Hammond delivered his Autumn Budget yesterday, with the abolition of stamp duty for all first-time buyers on properties up to £300,000 the star of the show. But what do the other announcements mean for farmers? We take a look…. The Chancellor’s decision to freeze fuel duty for the eight consecutive year means the average car driver is £850 better off since 2010 than they would have been under the fuel duty escalator. It is particularly beneficial to rural drivers who rely much more heavily on their cars to get around. Quentin Wilson from pressure group Fairfuel UK said: “Pleased the Chancellor has understood the debilitating effect of raising fuel duty on consumers, households, businesses and the broad economy. Further increases to the personal allowance and the higher rate threshold will leave farmers with extra cash in their pockets. Rural affairs specialist at NFU Mutual Tim Price said: “There was good news for self-employed farmers and all those working as employees that the Chancellor has stuck to the Tory’s promise to keep increasing personal tax allowances. In a bid to deal with heavy criticism of business rate revaluations, the Chancellor promised to shift rate increases from the retail price index (RPI) to the consumer price index (CPI). He also said revaluations would take place every three years, instead of every five, but the plans were described as a ‘partial intervention’ by the CLA. President Tim Breitmeyer said: “Businesses struggling to absorb dramatic rates bill increases imposed this April hoped for a complete freeze in rates increases planned for next year. “Instead, the shift from an increase linked to the retail price index (4 per cent) to the consumer price index (2.8 per cent) is merely doing the right thing, but almost a decade too late. “The shift to a three-yearly revaluation is a positive step. We must never again see the dislocation caused by the seven-year delay in revaluations experienced in 2016. “However, the key will be not the frequency of the revaluation but the quality. Too many rural businesses suffer from inaccurate ratings. As well as the headline-grabbing announcement of abolishing stamp duty for first time buyers, the Chancellor also promised £15.3bn of new cash for housebuilding over the next five years, including £1.2bn for the Government to buy land to build more homes and £2.7bn for infrastructure to support housing. But some rural commentators felt the focus was very much on towns and cities, with little for the countryside. Sue Chalkley, chief executive of rural housing group Hastoe, said: “While the Chancellor’s announcement focused on urban housebuilding, it should not be forgotten that we are facing a crisis of housing affordability and availability in our rural areas too. That said, Mr Price from NFU Mutual claimed there could be opportunities for farmers in some locations to sell land for housebuilding. “This could raise funds for investment elsewhere on their farms, or help diversify and provide a sustainable future for their farms and also local jobs”, he added. The freeze in IPT is a win for NFU Mutual, which campaigned hard against any rise as large farm businesses are already paying around £1,000. Mr Price, rural affairs specialist at the insurer, said: “We are delighted the Chancellor decided not to further add to the costs of responsible businesses by leaving the tax at its current rate of 12 per cent. It was feared the Chancellor would drop the VAT registration threshold quite significantly to bring it into line with other European countries – a move which would have left farmers paying for extra accountancy fees. In the event, he chose to fix the threshold at its current rate, perhaps to avoid upsetting backbenchers and Democratic Unionist Party allies. A £500m fund for 5G mobile networks, fibre broadband and robotics was established by the Chancellor, but it is not known how much of the cash will go to rural areas. NFU Mutual’s Mr Price added: “With agriculture currently embarking on a technological revolution to help farmers compete world-wide post Brexit, the Chancellor’s announcement of £500m to help deliver cutting edge robotic and other hi-tech innovation for business is welcome news, but there is no detail yet on how much – if any – of this funding will be directed towards agriculture. The Chancellor has already allocated £700m to Brexit preparations, with several million going to Defra – one of the departments most heavily affected by the UK’s departure from the EU. Today, he announced an extra £3bn would be set aside for the same purpose, with more to come if necessary.